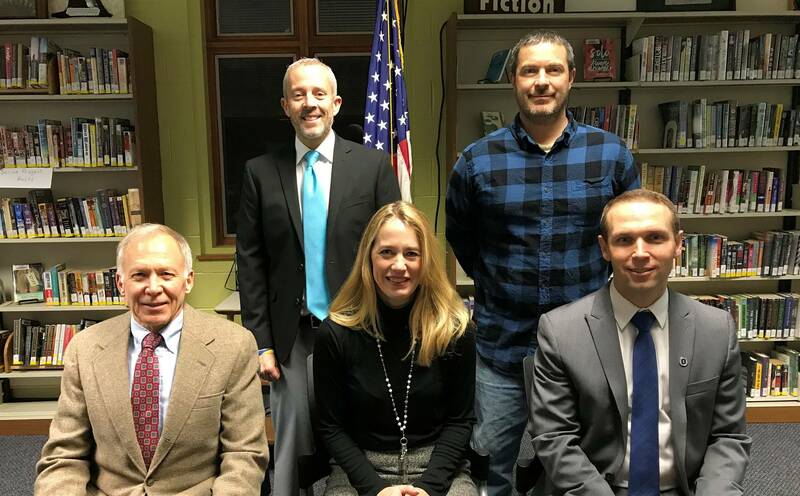 The next regular meeting of the Ontario Local Schools Board of Education will be Tuesday, May 14, 2019 at 7:00 p.m. in the Ontario High School Library, 467 Shelby-Ontario Road, Ontario, Ohio. BoardDocs LT is an internet-based site that will enable staff, board members, and most importantly, the general public access to meeting agendas as well as other board-related files. This site will allow interested parties the opportunity to review information prior to board meetings. All documents will be automatically archived and available for review by meeting date or by using the system's comprehensive search feature. To use this feature, simply click on the link below or use the link provided on the right side of this page. Go to the BoardDocs site. 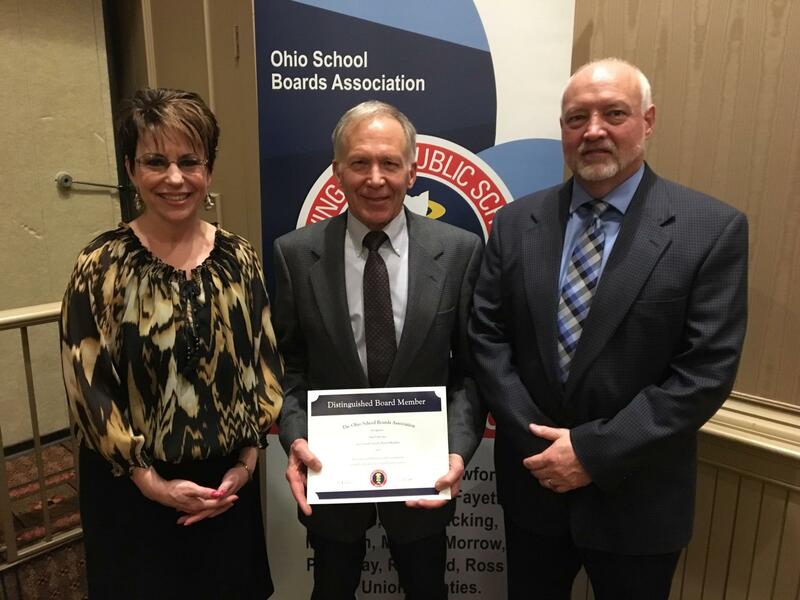 On the evening of Wednesday, March 13, 2019, at the Ohio School Boards Association (OSBA) 2019 Central Region Spring Conference, Ontario School Board of Education Member Mr. Sam VanCura was honored and recognized for twenty (20) years of service as a school board member. Current Occupation - Owner of Total Performance, Inc.
Sam graduated from Malabar High School. His wife, Janet; daughter Kelly Scholl; and sons Tim and Chase all received their high school diplomas from Ontario High School. Sam is a board member because he believes a quality education is the greatest predictor of adult success. He was a high school swim coach for 20 years. Though he says he may not have reached every swimmer, he tried to become a role model and inspiration. Most people can look back to a coach or teacher who made an impact, and he hopes he has accomplished that feat with his former athletes. As a board memeber his goal is for our schools to have a positive influence on all of the students. Other Activities: Board member of the Richland County Foundation, Workforce Investment Act member, Richland Community Development Group (RCDG) member, and the Richland Carrousel Park member. Sam enjoys swimming year round; skiing in the winter; and working in his woods. He and his family also enjoy traveling. Though originally from Greencastle, Indiana, Heidi and her family have been in the Mansfield area since 1999 and have made Ontario their home since 2004. She and her husband, Brian, a 1989 Ontario graduate, have three children: Sam, Ben, and Shelby and all are attending Ontario Schools. Heidi became a Board member because she wanted to bring a woman's point-of-view back to the organization. As a parent to three children in the school system, she also wanted to witness more interaction and collaboration among Board members, district employees, and parents. Lastly, Heidi wanted to do her part to enhance communication so parents are aware of all the opportunities and resources available. Other Activities: President of the Ontario Academic Boosters, Upward Basketball Site Volunteer, VBS at OCF Coordinator, Sunday School Superintendent, CE Board Member, OCF Tag Sale Coordinator, Ontario Schools Technology Board Member, and a Lego Club Volunteer. In her free time she enjoys reading, watching football, completing crosswords, playing trivia games, and traveling with her family. 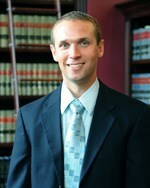 Current Occupation - Attorney & Partner at Weldon, Huston & Keyser, L.L.P. Jerod and his wife, Lee Ann, are both Ontario graduates. They have four children with two currently attending Stingel Elementary. Jerod chose to serve on the Board because he believes a school district is a community's greatest asset. He is extremely proud of and grateful for the education he received at Ontario, and it is his goal to continue to provide our students, parents, and community an outstanding school system. Other Activities: Past Board President of Ohio District 5 Area Agency on Aging, Inc.; Mansfield Kiwanis Club member, Past President and 2014 Lt. Governor Division 11-N Ohio District of Kiwanis; and a Coach for OYS teams. Brett and his wife are both graduates of Ontario High School and have lived in Ontario the majority of their lives. Their three children are currently all attending Ontario Schools. The Ontario community helped his family in many ways during his deployments to Iraq and Afghanistan, and in return, he wanted to give back to the community, which is why he chose to become a Board Member. After showing interest in the School Board during the 2013 election, many people suggested he should run again. The common theme for their requests was that it was time for a change. Todd is a 1988 graduate of Mansfield Senior High School and a 1992 graduate of Wittenberg University with a Bachelor of Arts in Political Science. He has lived in Ontario for 15 years and has three children: Conner, Cameron, and Alaina. Todd became a board member to passionately serve the children in our schools; the teachers, staff and administrators who operate the schools; and the entire Ontario community who support and expect a well-run, fiscally responsible and progressive educational system. A school board must function under the highest levels of ethics, communication and transparency; ultimately, they must always consider what is in the best interest of the kids in our care. The goal is to prepare Ontario students for whatever comes next, whether that is the first grade, middle school, college, the military or the work force. He has been civically involved with the Ontario schools and community for over 15 years and is very proud, honored, and humbled to serve on the school board. Other Activities: Todd coached various youth sports within the Upward Program, Ontario Youth Sports, and Ontario Local School systems. He is currently the Ontario Girl’s High School Varsity Tennis Coach. 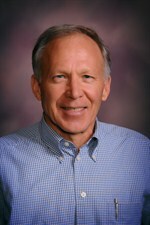 He also worked on former school levy committees and is a member of Mosaic Church in Mansfield. Congratulations Randy on receiving the prestigious honor of Auditor of State Award for excellent record keeping in 2018 and for being a careful steward of Ontario taxpayers dollars!